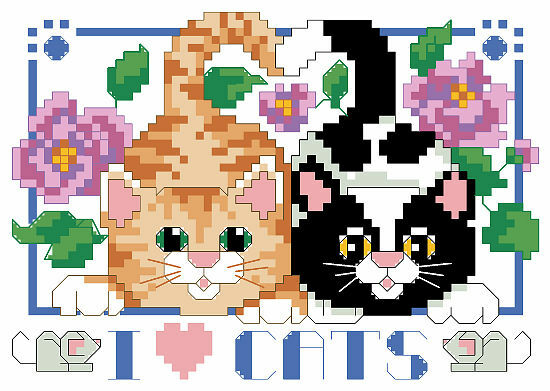 Two wide eyed little kitties peer back at the viewer from this cute and whimsical I Love Cats design by Linda Gillum. This design will stitch up quick on a shirt or ball cap due to it's petite size. The purrrfect gift for cat lovers everywhere. Contents: Stitch Count 66w X 46h - finished size on 14ct 4 3/4" X 3 1/4"